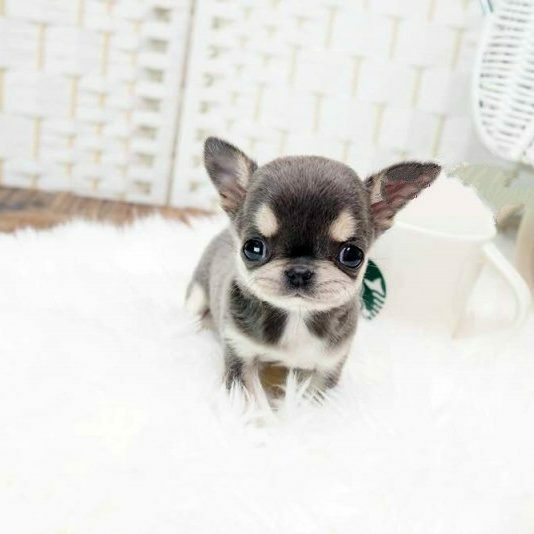 We have finally got your dream blue Teacup Chihuahua puppy for sale! She is a pastel blue with a hint of cream. 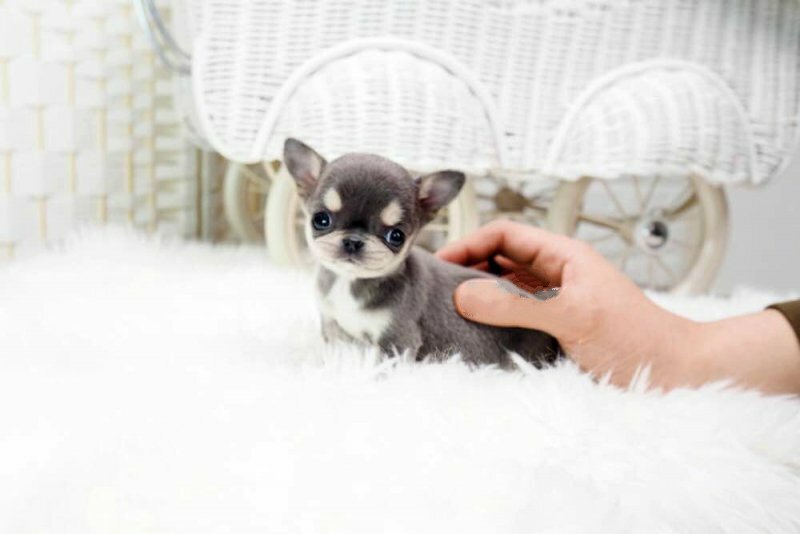 Teacup Chihuahua puppies for sale is smooth and curled up on your lap keeping you company. Cassie has everything we aim for a perfectly round apple head, huge expressive eyes, and soooo tiny body! 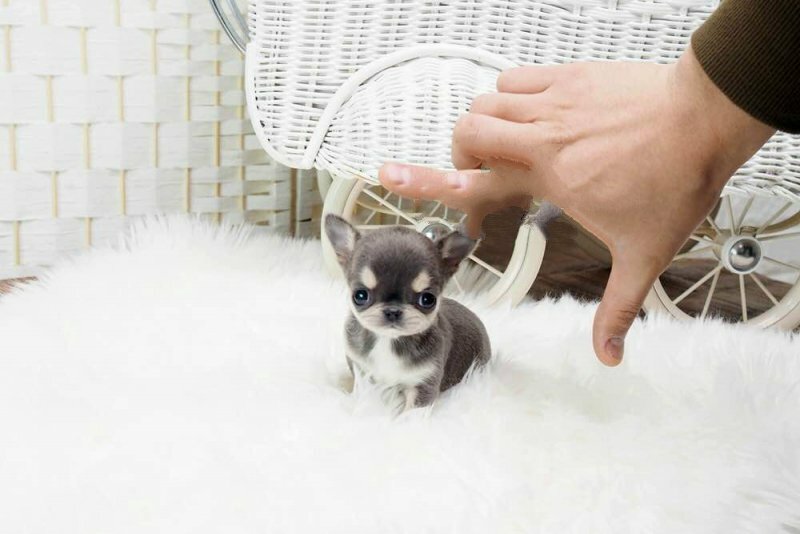 When you walk into your house after a long day, you can guarantee that our teacup Chihuahua will be there weaving between your feet and petting you with her tail. Her confident, but the gentle manner is sure to win you over in a heartbeat! 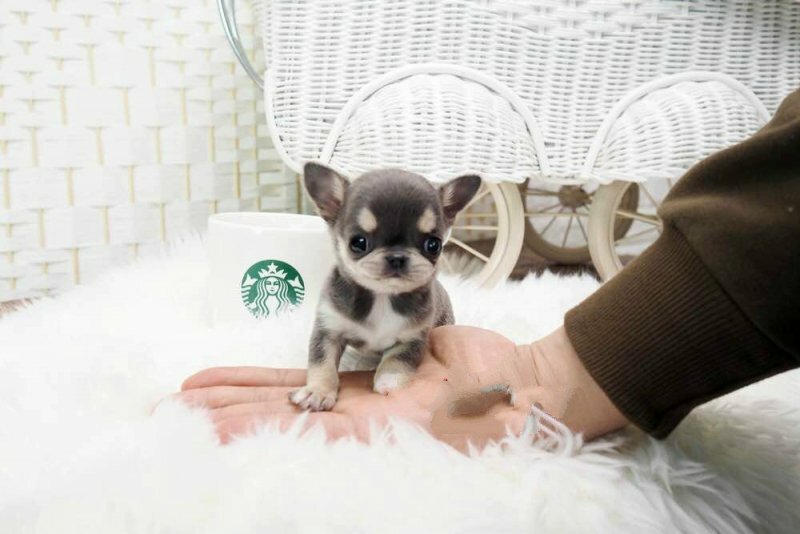 We offer an excellent selection of the best quality and healthier Teacup dogs. Reach us with the call or text to buy this micro Chihuahua.